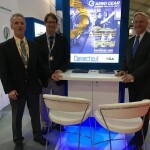 The Paris Air Show is undoubtedly one of the most exciting events for us here at Aero Gear. Walking away from this year’s event, we feel excited and energized about our prospects in the dynamic and high-tech aerospace industry. 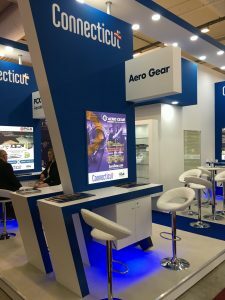 The week-long show held many exciting events such as meeting with existing and potential customers, suppliers and viewing the aircraft that we help build. Most exciting of all was watching the flight demonstrations as the state-of-the-art aircraft performed jaw-dropping aerial maneuvers for thousands upon thousands of spectators. It is an absolute thrill to watch aircraft that rely on precision engineered parts by Aero Gear, perform so eloquently in the air. While working in Connecticut, it’s easy to get lost in our devoted attention to the details of the day and forget the greater impact of what we do. Through the Paris Air Show, we are reminded of the global aerospace industry and the importance of our purpose in manufacturing with excellence. Aero Gear sent two representatives to this year’s show, our Director of Sales & Marketing Lee Welch and our Sales Manager Richard Haydaz. 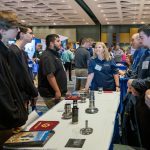 The show provided new leads and insights into the future of our industry. It also allowed us to make several new contacts that will be key for growing our business in the future. We are a company of today and a company of the future. We focus on each day, excelling in everything we do, yet never losing sight of the future. There are many great opportunities to come and we work towards mastering them in all due diligence. We hope to see you at the Farnborough Air Show in 2018!